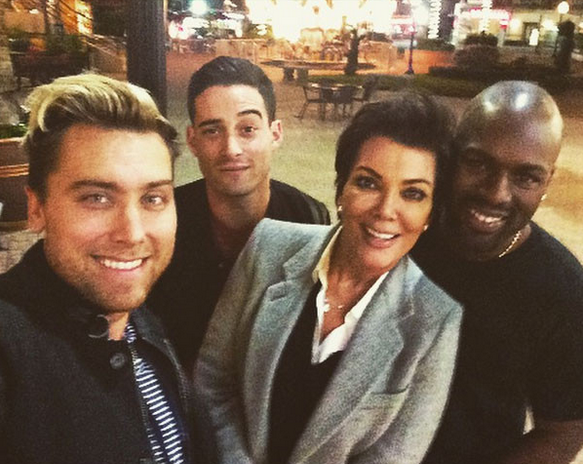 Kris Jenner and boytoy Corey Gamble have a night out with the kids Lance Bass and his husband Michael Turchin. I recognize Lance Bass, but who are the other three dudes! See, this is what I don't like about Instagram - sometimes the pics are wayyy too dim or blurry!